KCRW turned to Troika to build a brand around their unwavering commitment to servicing the community through radio, while ensuring KCRW’s continued success in an era of digital media. Our role was to position KCRW for the future by creating a brand platform that formulates a unified vision, voice and identity as KCRW continues to evolve from a linear, single channel offering to a transmedia entertainment brand. The KCRW brand refresh kicked off with three full days of interviews and an onsite workshop with KCRW’s staff. The information from these intakes was used as the foundation of KCRW’s revamped brand strategy, including brand values, vision, attributes, and a defining position. 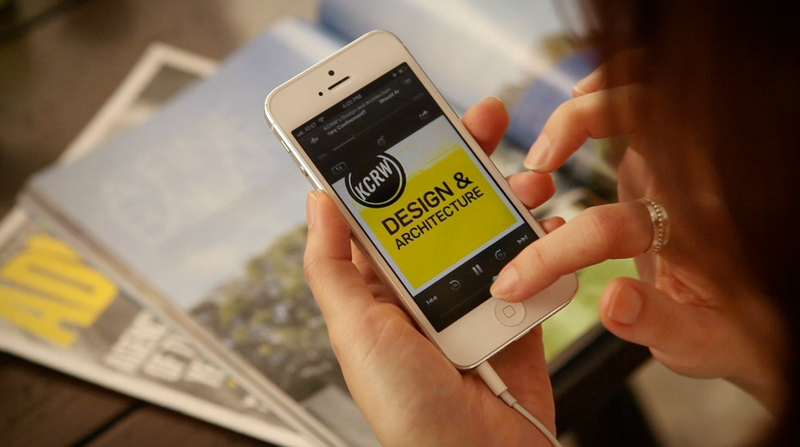 KCRW’s identity was developed in tandem with their brand strategy. Tools were developed to build a brand platform that allows KCRW to strategically grow across different media formats – podcasts, social media, on-air, events – while still holding onto the attributes that give it a distinctly Los Angeles perspective. A new logo anchored the identity, visually representing KCRW as a cultural aggregator and influencer. The mark was built to seamlessly integrate anywhere KCRW is, acting as a ubiquitous symbol for art, music, culture, news, and events. 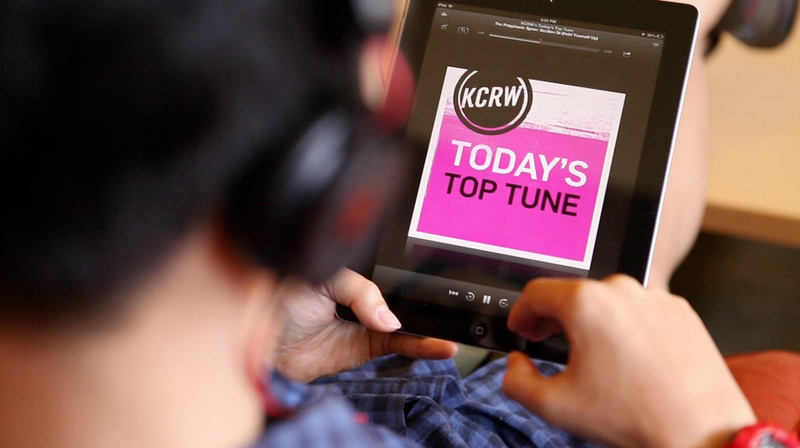 Logo iterations were developed to unify KCRW’s brand, genres, and programs across the dynamic media landscape. A logo ID was developed to bring a human touch to the identity as it continues to grow in the digital era. 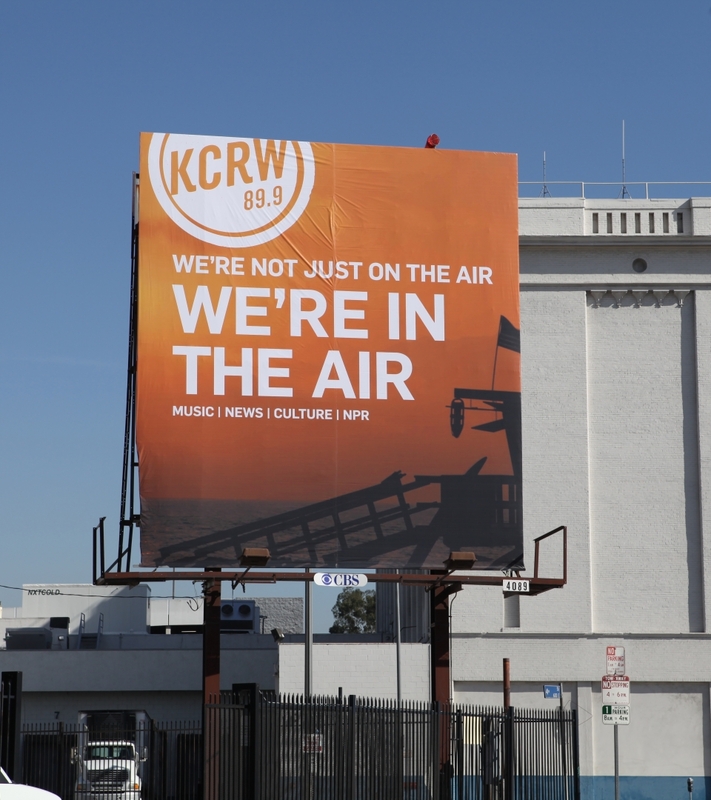 The culmination of the KCRW refresh was a Los Angeles-wide multi-platform brand campaign. 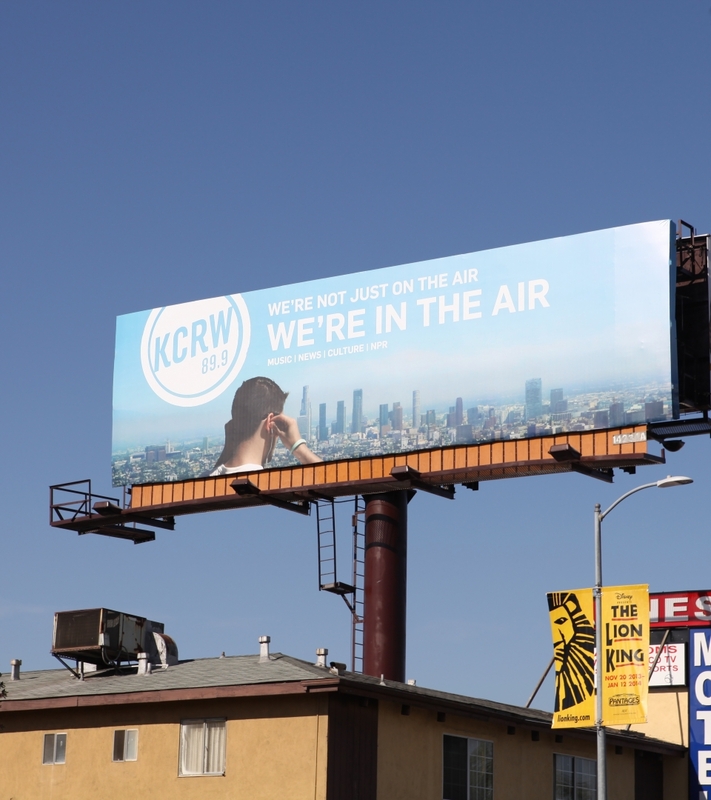 The campaign features a sizzle video that encapsulates the new KCRW spirit, along with billboards, bus shelter posters, and bus wraps that proudly state, “We’re Not Just On the Air, We’re In the Air.” To cater to the many areas of Los Angeles, neighborhood-specific ads were strategically placed around areas of the city; Hollywood imagery posted in Hollywood, Chinatown imagery in Chinatown, beach imagery in Santa Monica.